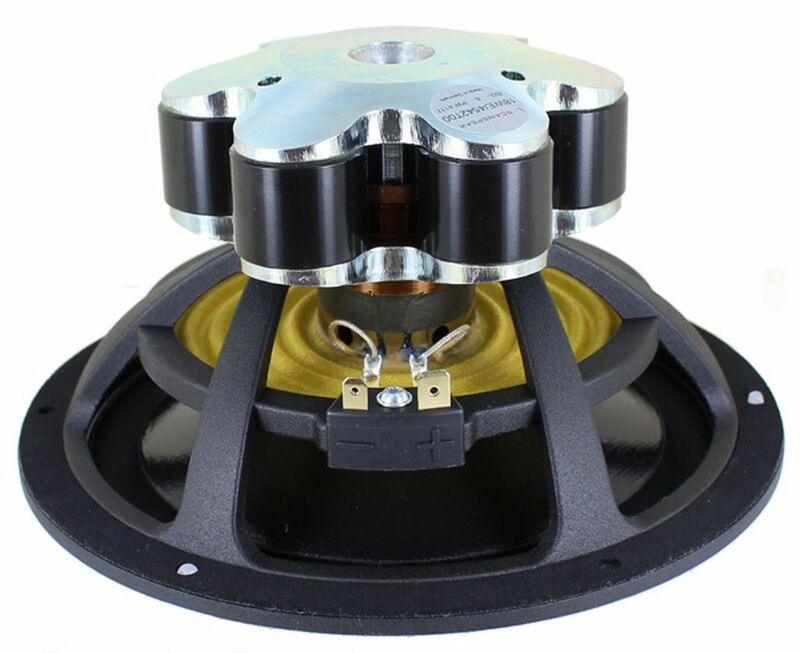 The Ellipticor family features an elliptical voice coil and magnet gap. 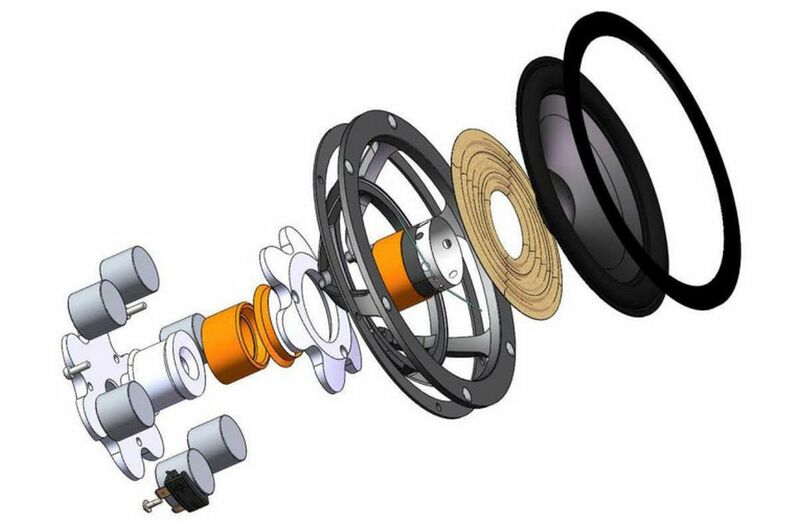 The engineering of using elliptical-shaped voice coils is to minimise cone and dome modes and resonances. What you get is an “infinite” number of Eigen frequencies, but with less contribution for each frequency, so achieving an overall lower distortion and colouration. In combination with the powerful SD AirCirc magnet system the 18WE has high sensitivity, very low distortion, and has an extremely fast response to transients. 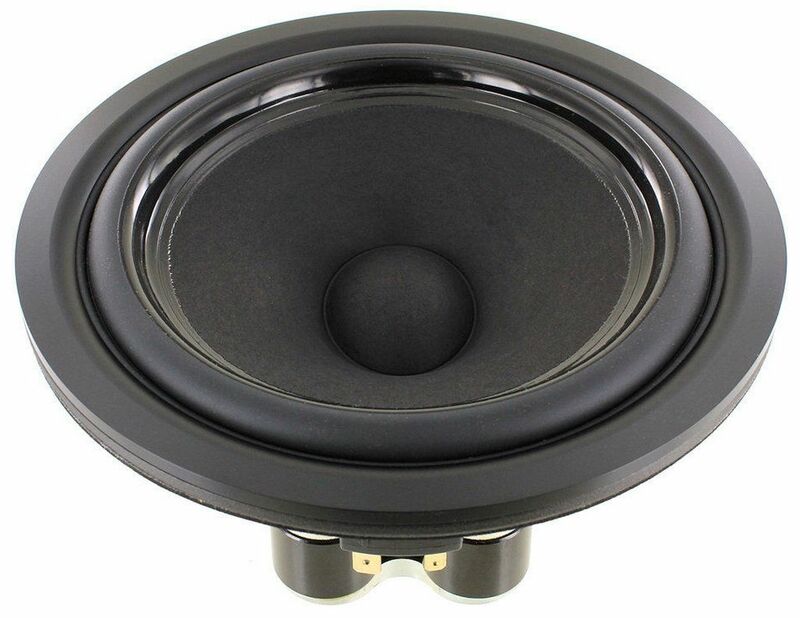 Above all a True-To-Life sound which makes 18WE one of the very best midwoofers on the market. 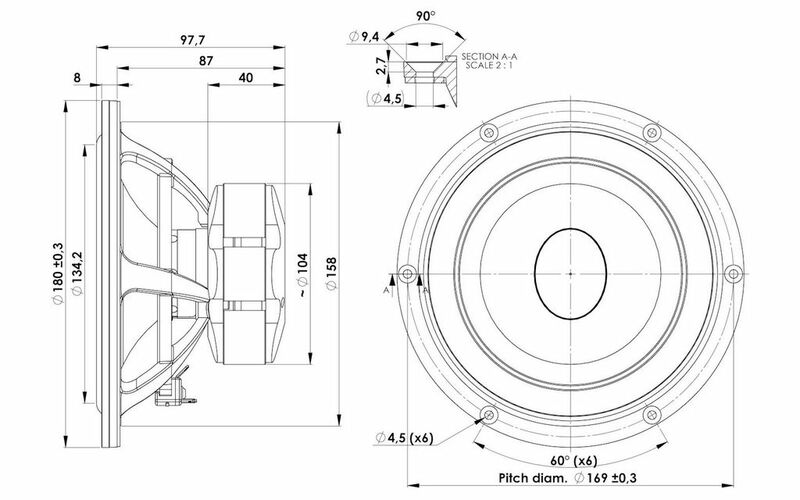 One of the design goals for a new driver concept at Scan-Speak was to minimize cone modes, so it was suggested to use an elliptical voice coil ! This radical idea has some interesting engineering science behind it. Driving a diaphragm symmetrically, with a circular voice coil, you get a finite number of Eigen frequencies with an energy contribution combining at certain points producing measurable colouration modes and resonances contributing to distortion and a driver introducing its own unique signature tone. The elliptical voice coil idea is to drive the diaphragm asymmetrically, so what you get is an “infinite” number of Eigen frequencies. These multiple “natural resonances” are more widely distributed producing random modes and as a result, less resonant energy contribution totally overall. 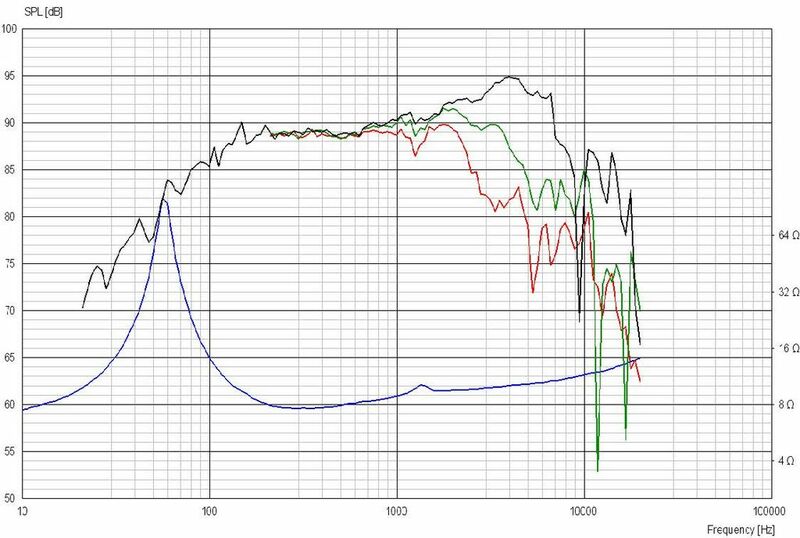 This achieves lower distortion with less colouration node energy and thus improving desired audible results by reducing the drivers 2nd order harmonics and excellent 3rd order harmonics improvement. 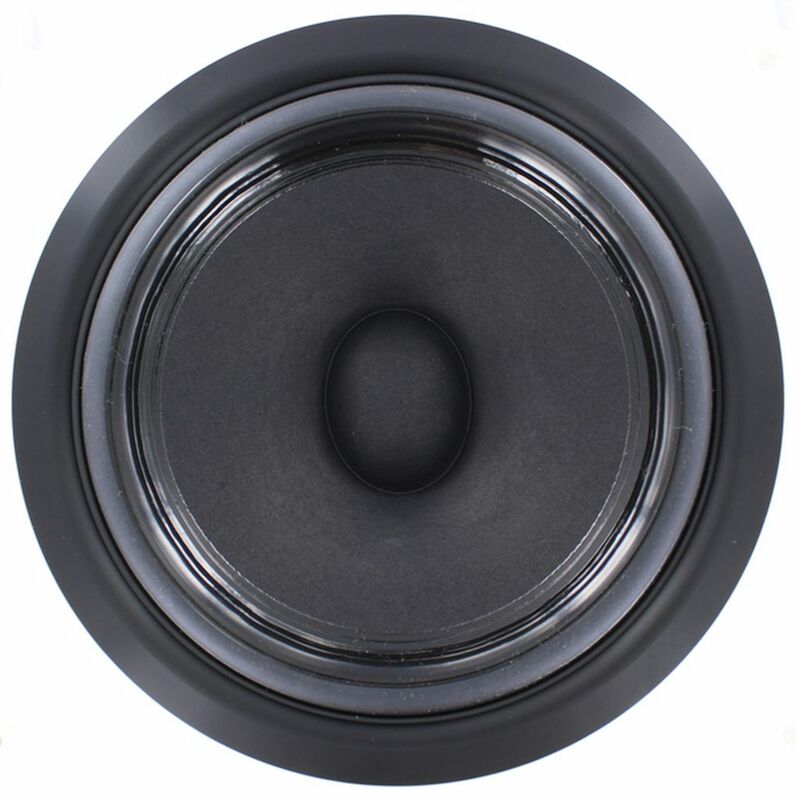 In combination with the powerful SD AirCirc magnet system the Ellipticor Series has high sensitivity, very low distortion, and has an extremely fast response to transients. Above all a True-To-Life sound which makes Ellipticor one of the very best drivers ever available.